Ace Cafe Orlando has taken a unique approach to its pop-up shop concept offering flexible timing for retailers with leases as short as a month. In addition to the pop-up space, the Ace continues to offer guests a well-rounded and dynamic experience. For example, it is home to Dainese, the world leader of protective wear for moto and other dynamic sports; Rockers Speed Shop, selling official branded Ace gear and apparel; and Stonebridge Motorgallery, purveying an ever-changing line-up of original motorsports and rock 'n roll-inspired artwork, as well as collectible vintage and one-off custom motorcycles. The Hart & Huntington Tattoo Co. shop at Ace Cafe Orlando is open daily from 10AM-10PM. Free parking is available for customers of the Ace, located at 100 W. Livingston Street, Orlando, FL 32801. For more information, call (407) 373-0718 or visit www.hartandhuntingtonorlando.com. About Hart & Huntington Tattoo Co. In 2004, freestyle motocross legend Carey Hart opened his first tattoo shop in Las Vegas, Nev., inside the Palms Casino Resort. Years later it moved to Hard Rock Hotel & Casino and has been an iconic experience for many Vegas visitors. 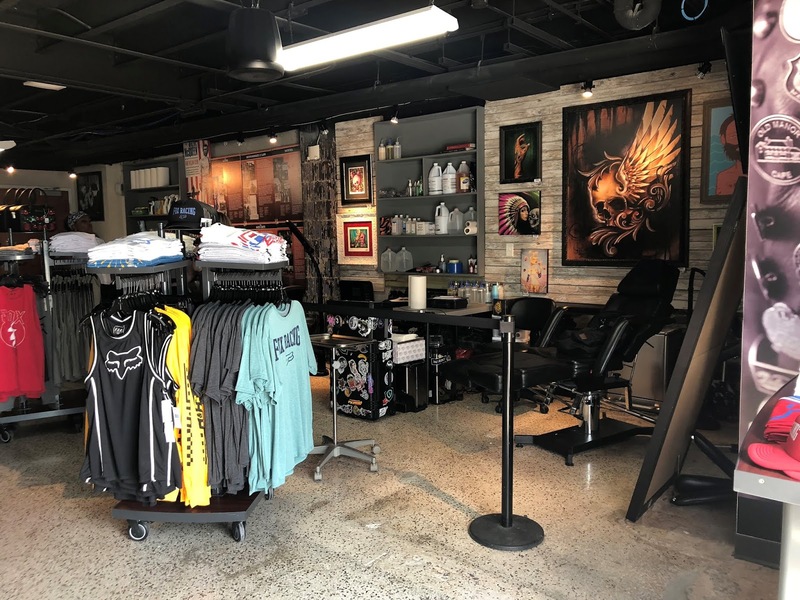 Today, Hart has four tattoo shops located in Orlando, Fla., Nashville, Tenn. and Niagara Falls, ON, as well as a Hart & Huntington clothing line. Across the shops, thousands of fans from every corner of the globe have gotten tattoos of all styles from his team of talented artists. For more information, visit www.hartandhuntingtontattoo.com. Ace Cafe is the most famous motor-diner on the planet. Since 1938, Ace Cafe London has been a mecca for those passionate about cars, bikes and rock ’n roll culture. The original location on London’s North Circular Road began as a transport cafe for truckers, then evolved into a popular destination for rock 'n roll-loving teens riding motorbikes during the '50s and '60s. Today, the Ace has a multi-generational appeal from motorsports enthusiasts from all over the world. Ace Cafe North America holds the exclusive licensee rights in North America and South America for this world-famous brand. Ace Cafe Orlando is the first North American venue for Ace Cafe. Other Ace Cafe locations around the globe include London, Lahti, Beijing, Lucerne and Barcelona. For more information, visit www.acecafeusa.com.